Welcome to Piano Academy, the best way to learn how to play the piano. You don’t have to know a thing about the piano. You just need a piano keyboard, and that's it: you're ready to start an incredible journey toward becoming a pianist! Don't have a piano keyboard yet? 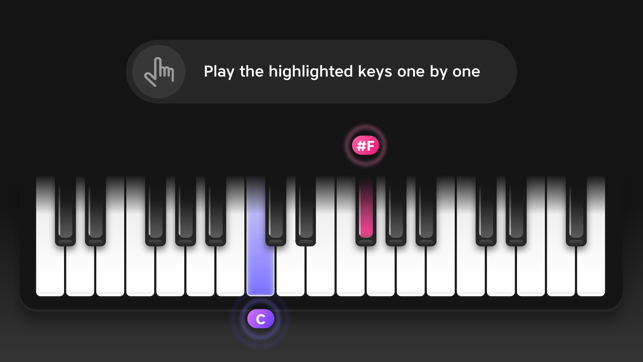 That's Ok, the app offers an on-screen touch keyboard so you can start learning to play immediately. - Watch tutorial videos introduced to you by your personal instructor, teaching you theory topics like notes, the staff, chords and much more. - The app listens to every note you play and gives you instant feedback, so you know how to improve. - Play fun games to train your musical hearing, hand-coordination, and sense of rhythm. 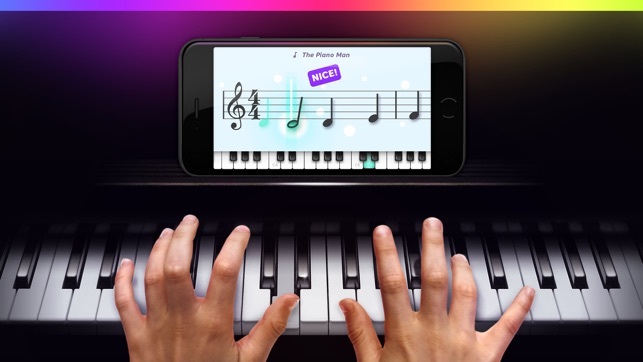 This app is for anyone who has no previous knowledge in playing the piano, and it’s suitable for all ages from kids to adults. 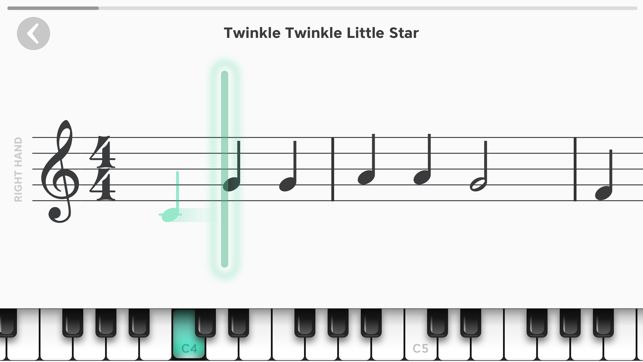 We have designed and built this app from the very beginning to help transform complete beginners into actual pianists who can play any piano keyboard while reading sheet music. 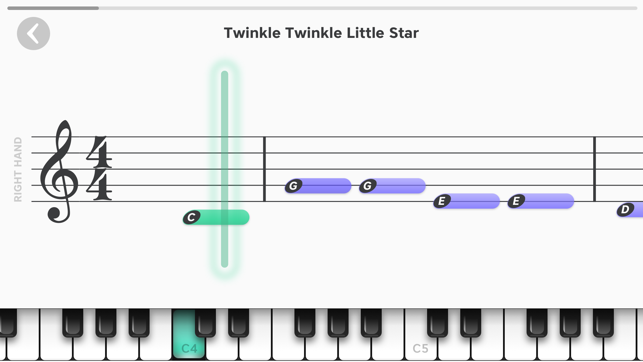 We are going to teach you how to read notes, so you’ll be able to play while reading sheet music. You'll play tons of amazing classical pieces, as well as contemporary hit-songs on your own. As you progress, you’ll learn to play with both hands, play chords and much more. Theory topics are introduced to you by your personal instructor with the aid of animations and walk-through videos. You will play fun games that are explicitly designed to train your relevant senses such as musical hearing, hand-coordination and sense of rhythm, among other skills. And the crowning glory is our staff player that shows music notes as you see in real sheet music. The notes are perfectly synced with the background music that will accompany you while playing. The app listens to every note you play and gives you instant feedback, so you know whether you hit the correct note at the right time. BOTTOM LINE, you're going to have an enriching, rewarding and challenging experience, and you're going to love it! - You can subscribe for unlimited access to all features and content offered within Piano Academy. - Watch all premium tutorials, play all premium games and practice any of the songs including premium songs as much as you like from any Apple device and enjoy an ad-free experience. - The account will be charged for renewal within 24-hours prior to the end of the current period, and identify the cost of the renewal. 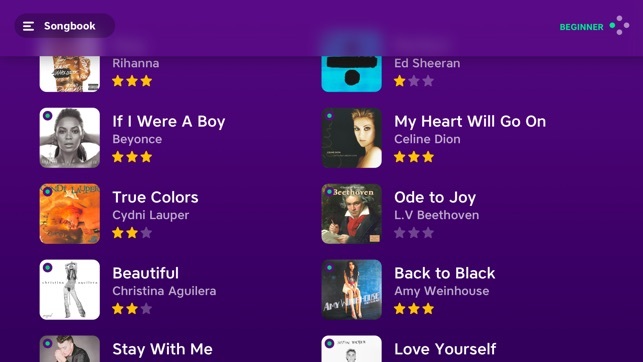 Yokee Music is the creator of Yokee™, the world's #1 ranked sing-along mobile app, with over 100 million users and the creator of Piano by Yokee, the most successful piano app game available in its genre. nice app. very easy to learn for an absolute beginner like me. had problem when detecting both hand notes. it identifies as wrongly even if correctly played (Two hands coordination exercise part 2). Hope you would fix it soon. 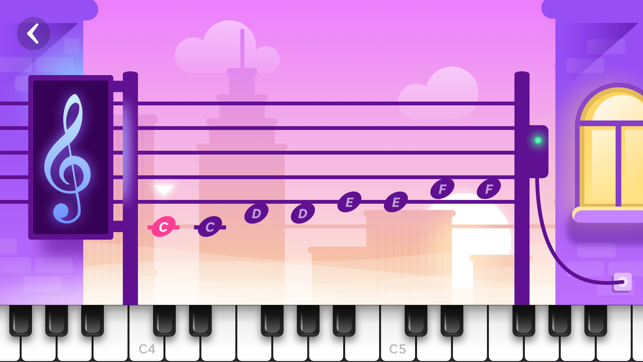 i managed to use a 'harmonica' sound instead of default piano sound in my keyboard (CT 1200) to get pass this excercise. You can clearly tell how much effort was put into the app. The design is top class, competing with that of some Google apps, the teaching is clear, and the quality of lessons is top notch. Additionally, it is COMPLETELY free. You people should open a donation box, your devs, music teachers and whole team deserve all the money you might ever earn from this app. Props to your whole team. When it comes to playing both hands there is a problem. Even if I play the correct keys together there is red signal! Is it because of my handset problem?